Woody Allen's newest movie is definitely not one of his finest work, or perhaps we judged him too harshly now after his recent run of spectacular films starting from Midnight in Parisand the last one: Blue Jasmine. And unfortunately, the bulk of the blame lay squarely on both Allen and his two leads: Collin Firth and Emma Stone. Firth and Stone are undoubtedly one of the best actors of their time (him) and their generation (her), but here, as leads in a romantic comedy - even one written and directed by Allen - they lack chemistry. And that is essentially the death knell of any rom-coms. Singularly, they are fine actors. 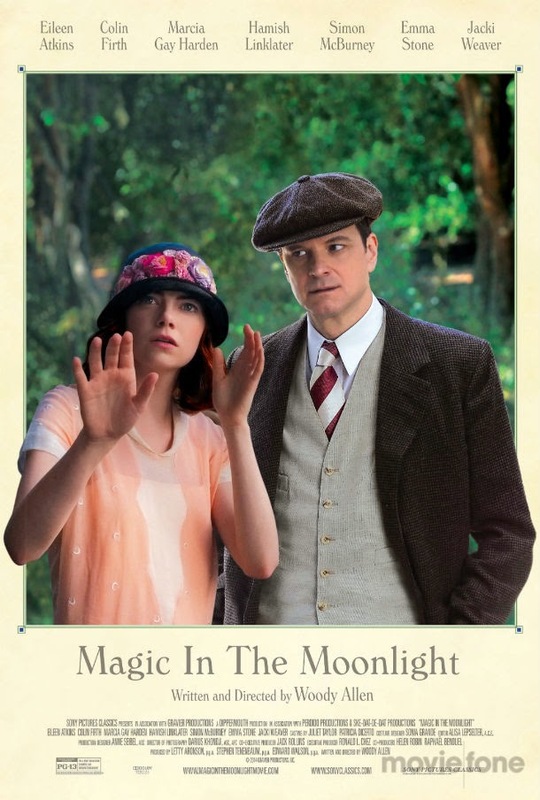 Firth has the whole English snobbish, eccentric, rational wit going on, and Stone is fine on her own as the seemingly naïvete but romantically passionate American. However, between them, not even ice would melt. Documentaries like these always fill me with a profound sense of wanderlust, and when backed up with a live orchestra like the SSO, this wanderlust just gets amplified. Regardless whether you have watched this series before or not, it is impossible not to be awed by awesomeness and mysteries of Mother Nature and Planet Earth. But undoubtedly, some of that awe is blunted with prior exposure. Although seeing half a million snow geese take flight and the money-shot of the orca leaping out of the water on a big screen is beyond words. One of the downside to this presentation is that David Attenborough was sorely missed! kJoshua Tan performs better with his back to the audience, and his narration lacked the grandeur and wisdom so inherent in Attenborough's narration. Nonetheless, kudos to the film-making team at BBC Earth - although this was so clearly an unabashed money grab. 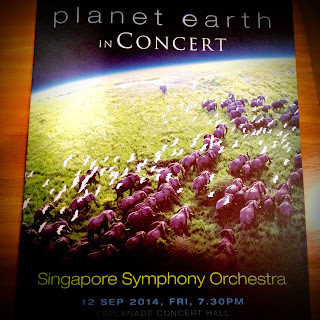 Looking forward to Frozen Planet in Concert! A brilliant play that was wonderfully adapted to the South African context, using the apartheid to broach themes of social equality, power, self-identity, and even love. Fearless performance by the two leads who deftly handled the emotional range and depth that was required of them, and the constant evolution of power between the characters. However, ultimately, this play still bore the mark of chauvinism and that was starkly unaddressed in a play that juggled bigotry and inequality. Nonetheless, the play itself was written and directed beautifully with rich imageries, clever juxtaposition, and subtle yet inevitable foreshadowing.